What Can Credit Unions Learn From Rudy? Either way, you might as well read this until the bitter end. No one likes a quitter. So, what can credit unions learn from Rudy? Anyhow, the size of your membership, your asset size or the number of employees under your roof will NEVER be as important as the effort your team puts forth. We must always be mindful that our members have chosen us as their financial institution. We should be working everyday to show our members why they made the right choice. If you can’t win your own team over, how can you expect others to buy-in to what you’re doing? A culture of success is a tough thing to build, but it is absolutely necessary. If you want to know more about culture, I strongly suggest you follow Matt Monge on Twitter and read his blog posts regularly. During Rudy’s time at Notre Dame, there was a culture of success. Today, well, not so much. Either way, Rudy bought-in to that culture. He did the things that no one wanted to do and he took a beating while doing it. Eventually people noticed. In fact, Rudy had no right to even dress for a game. The only reason he dressed for the final game of his Senior year and actually stepped on to the field is because his teammates saw what he was all about. As credit union professionals, we have to work hard everyday with the resources that we have. Hard work hardly ever goes unnoticed. If you can get your teammates to do this you are on the right track. Put the time in, make a plan and then execute. A good friend and mentor of mine, Kevin Ralofsky would say this, “It’s all about blocking and tackling.” I’m not sure how Kevin would feel about this reference, but here goes: If you find yourself struggling, ask for help. 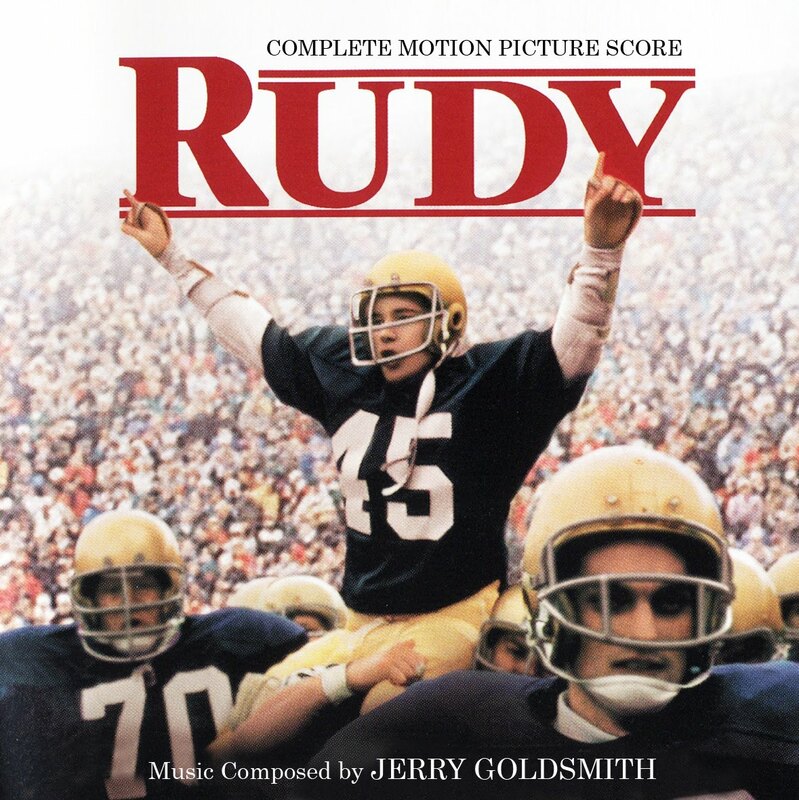 In Rudy’s case, D-Bop (played by Jon Favreau) was that help. Yes, Kevin, if you are reading this, I just called you D-Bop. A good mentor is hard to find and admitting you need guidance is usually even more difficult. Regardless, a healthy apprentice/padawan (again with the Star Wars references) relationship can go a very long way. Credit Unions are in the business of collaboration and cooperation. Have you started building a network of people who can help you achieve your goals? They are out there and there’s no doubt in my mind that they are waiting to help. Find your D-Bop, get on the field and do something memorable. If you succeed at first, congratulations. For many of us this won’t be the case. If it is, again, congratulations, but ask yourself, “Am I setting my goals high enough?” Setting easy goals and checking them off may feel good, but how much better does it feel to do something big? Answer: It feels fantastic. It won’t be easy, and it won’t come quick, but it shouldn’t. The toughest part about being persistent is, well, being persistent. When things get rough, our natural reaction is to seek some way to alleviate the “pain”. I call this finding a solution. What is important to note is this: There are no simple solutions for complex problems. I’ll leave you with this. Rudy almost quit. The underdog story of this young man almost never happened. Some of you may wish it never did happen because then you wouldn’t have to read this. Either way, sometimes, when we are the closest to accomplishing the things we’ve been working for, the opportunity to quit presents itself. Don’t do it. Don’t compromise either. Seek the guidance of a good friend or mentor and find the right solution.